Properties in Rowayton average 4.9 out of 5 stars. Luxury Victorian beach house - steps to 2 private beaches! Property 1: Luxury Victorian beach house - steps to 2 private beaches! 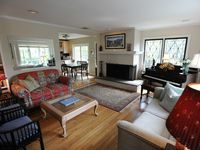 CHARMING ROWAYTON HOME NEAR VILLAGE: ALWAYS FEELS LIKE YOU ARE ON VACATION. Property 4: CHARMING ROWAYTON HOME NEAR VILLAGE: ALWAYS FEELS LIKE YOU ARE ON VACATION. 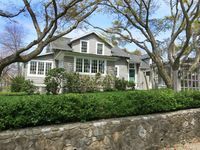 Property 10: Rowayton Bungalow- Booking Summer 2019!! Designer home in private beach/tennis/harbor community. Property 14: Designer home in private beach/tennis/harbor community. Beach house w private beach and your own boat mooring. Property 16: Beach house w private beach and your own boat mooring. Relaxed Sophistication By The Sea! Property 17: Relaxed Sophistication By The Sea! Joan and Susan took care of every detail. Complete privacy My 32 days as a Guest, Complete Bliss, I am still awestruck; from the time that I arrived, enjoying every step throughout the daily journey I took enjoying this beautifully quaint Rowayton home. The moment I arrived I knew this place was magical right out of a story book. As each day arrived, I remember saying to myself it cannot get better than this. Super comfortable beds, soft linens, kitchen stocked with what&rsquo;s needed in utensils and appliances. New England Sound Water Front within 200 feet of the front door, walk to market, post office, restaurants, great small-town atmosphere. The home is beautiful and immaculately maintained. The location is perfect as well. It is a short walk from both Rowayton Village, with its many restaurants, and the local beach. Susan, the owner of the home, is incredibly helpful and made our stay very special. It is a perfect getaway for both families and couples alike.